EOO very uncertain (5000 - 31 000 km²) as range is difficult to determine from herbarium specimens that are hard to identify. The areas where A. lineata is likely to have been threatened in the past is just a small part (less than 20%) of the range, and this species is unlikely to decline to extinction. Most of the remaining habitat is well protected. Port Elizabeth to Grahamstown, mainly in Suurberg Mountains. Also occurs near Riversdale. Thicket, grassy fynbos and renosterveld. The habitat of A. lineata is not well defined in the literature and it is, therefore, very difficult to determine threats to this species. In the Eastern Cape it appears to grow in thicket and/or fynbos. Subpopulations close to Port Elizabeth may have declined in the past due to urban expansion, but A. lineata is still very common in the Suurberg where the habitat is well protected. It is unlikely that there is serious ongoing declines in the Eastern Cape. There are no recent records of A. lineata in the Riversdale district, and nothing is known about its habitat there. 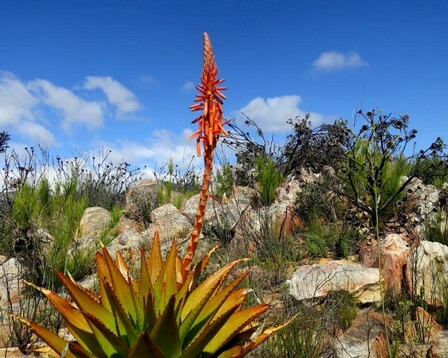 If it grows in renosterveld, it has probably disappeared as a result of agriculture, as nearly 90% of the renosterveld in the Riversdale area is transformed by agriculture. 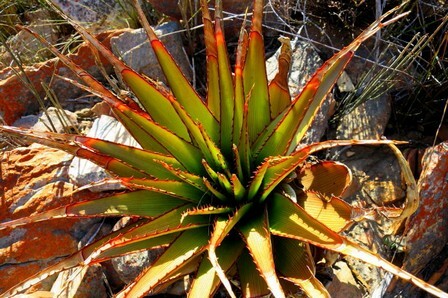 If it occurs in rocky areas and/or in fynbos, its survival is somewhat more likely. The two variants of A. lineata are mainly distinguished by a difference in flowering time (Reynolds 1969, Glen and Hardy 2000). Var. lineata flowers from January to March and var. muirii flowers from June to November. There is also apparently a difference in leaf colour (Glen and Hardy 2000), but this would be hard to determine in dried material. 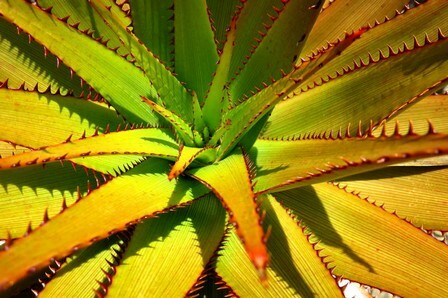 Aloe specimens are quite hard to identify, and only specimens that fitted both within the flowering period as well as the distribution range of a particular variant was included in the distribution range mapped to derive the EOO.